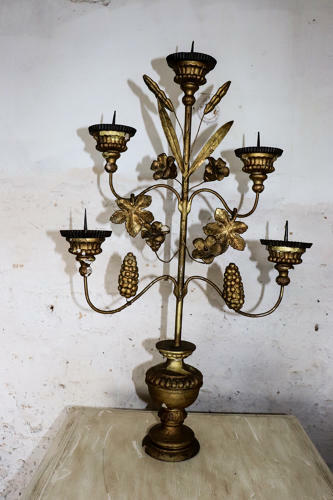 Beautiful early 19th century giltwood and metal candelabra - a beautiful and striking piece. This is German. There is some worm damage to the base as can be seen in the photo but it has been wormed so is dead.